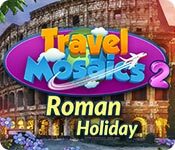 Travel Mosaics 2: Roman Holiday is rated 3.4 out of 5 by 11. 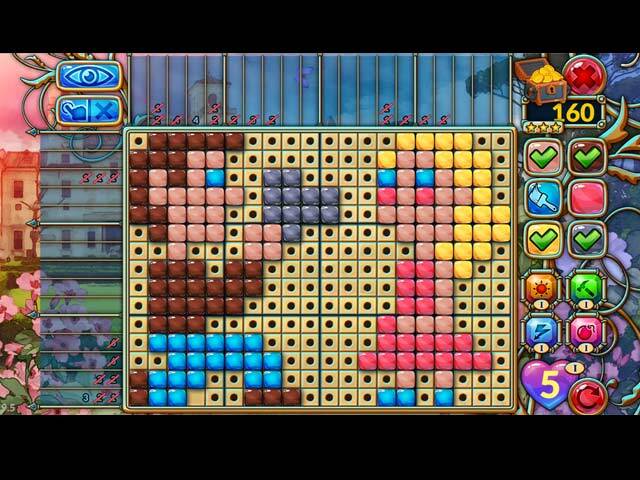 Rated 5 out of 5 by LanaPook from Great little mosaic game! I really like this game. For me the levels are a little harder than in some games. I like having to slow down and really pay attention to where I am clicking. 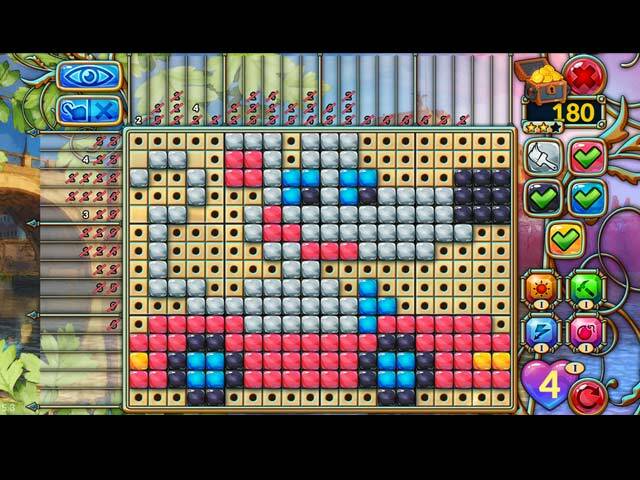 Some of the grid or mosaic games are so easy I make mistakes because I am going fast to get through the big areas. They are just not fun. I so much prefer the more detailed levels and having to go back and try again. Hope they make another game. Rated 5 out of 5 by Feckles from Try It For Yourself! I almost didn't buy this game based on the reviews, so I'm glad I tried it for myself. There are so many EASY nonagram games out there that I think people are put off by a challenging one. I haven't had to guess yet. This takes a lot of thought. (At least for me!) Sometimes all you can get is one square going back and forth between colors, but you can still solve it with 3 stars. It just takes longer to solve them, but I like the extra hours of game play. My only complaint with all of these games is that I wish they would make BIGGER GRIDS! Really, is 15 X 20 the only size? That being said, I am having a great time with this game. Rated 4 out of 5 by dgeehring from Almost on a par with Fantasy Mosaics I found this enjoyable. You can almost always solve with no guessing, the pictures are identifiable when finished and some quite clever in their design. You have to win 3 stars on each game to get the bonus puzzle, which I like and if you use "help", you can win the game but without 3 stars. After the bonus puzzle is another type of puzzle for a little variety. I found these difficult enough to be an enjoyable challenge without being frustrating. Quite a few colors in most of them. It was a buy for me. Rated 3 out of 5 by kateblue222 from Meh I don't like the little sounds. I like if you miss a lot of times you get a trivia question, but I hate that you have to get all perfects to open the bonus puzzle. This seems contradictory, too. You are rewarded with a cool question if you lose, but then you don't get the bonus puzzle even if you get through all 6 regular puzzles unless you have a perfect score. So you miss some of the fun either way. 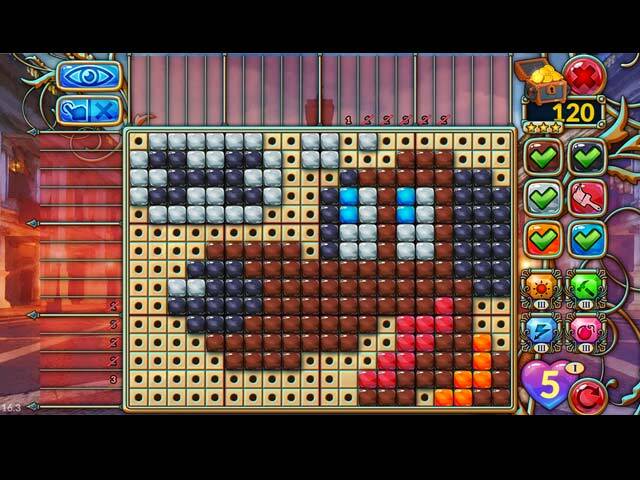 I am tired of playing these types of puzzles over and over for perfect scores, so meh. It's really hard to see the yellow color against the beige background. Headache time. Unless you buy all of these mosaic games, buy another. There are better ones. Rated 2 out of 5 by verimeri from glad it was on sale If I had paid more for this game than the sale price I would not be happy. Not sure that it was even worth the $3.99 I paid. The colors are very good but other aspects of the game are annoying. First of all, the weird sounds. The game makes sounds like you have made an error but it seems it is just adding to a power-up. Speaking of power-ups..Yes they are there but you don't dare use them. Anytime you use a power-up you lose a star. You have to have three stars on almost every level to get to play the bonus games and the puzzles. There are a lot better mosaic style games available. Rated 2 out of 5 by JOYCOMES from I Could Have Loved This Game... but I don't. There are wonderful power-ups but if you use one, a star is deducted. You have to have like 6 3-star puzzles to move on to the next level. So you earn power-ups but if you use them you get penalized. I feel mad about this. I am not getting this game. Rated 2 out of 5 by arnold1049 from WHEN THEY SAY GUESS, THEY MEAN IT I played 45 minutes of the trial and got to the bonus puzzle at the first location. At that point, there was no way to apply logic to solve the grid, no matter which color you were playing. In the instructions, the word "guess" is used many times, and they weren't kidding. The only way to solve a grid by guessing, and I have done this before, is to use a piece of grid paper and mark all the correct guesses before you run out of lives (make too many mistakes) and have to start over. By using the grid paper, the next time around, you can transfer the correct guesses back to the game grid and have that many fewer guesses to make. As you continue to guess, if you play enough times and make and transfer accurate markings on the grid paper, you will finally be able to solve the grid in order to be able to continue to the next puzzle. Personally, I think this is way too much work when there are so many other games that can be solved with your brain, instead of paper and pen. Well, I guess instead of pen and paper, you could take screen shots and print them out to keep track of your correct guesses. I would sincerely like to know how the persons who rated this game 5 stars managed to solve the grids that were based solely on guessing. You have limited lives, two to start each puzzle, and limited power ups. Each mistake takes away a life, and when you run out of lives, you have to start over. There is no skip button and the next puzzle does not unlock until the previous puzzle is solved, which means completing the grid with at least one life left. I purchased the first game in this series and so far, even though the instructions contained the dreaded word "guess", I haven't run into a grid that I have been unable to solve. Once I do, I will uninstall the game and just mark the money I've wasted up to experience. If the developers intend to continue this series, I would suggest that they base the grids on logic, as is expected from this genre, and take the "guessing" out of their product.